Welcome to Fort Madison, Iowa! Modern industry and historic landmarks mingle in this town sitting on the banks of the mighty Mississippi. 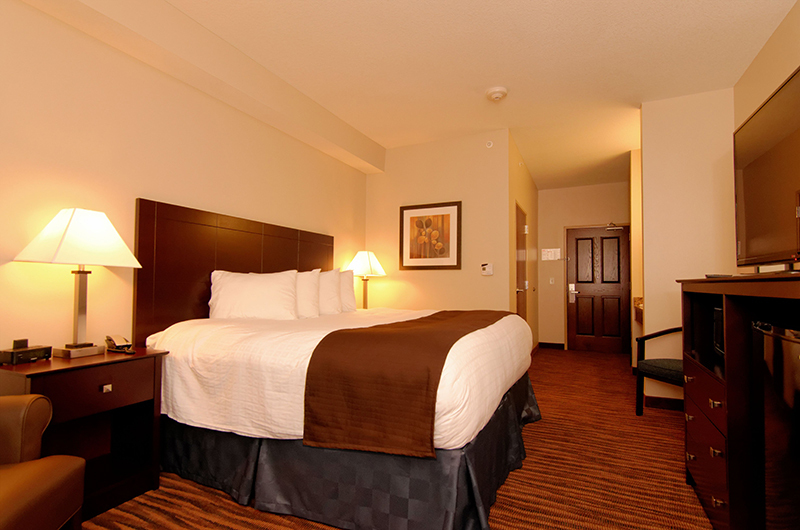 Boulders Inn & Suites is just minutes away from all it offers. 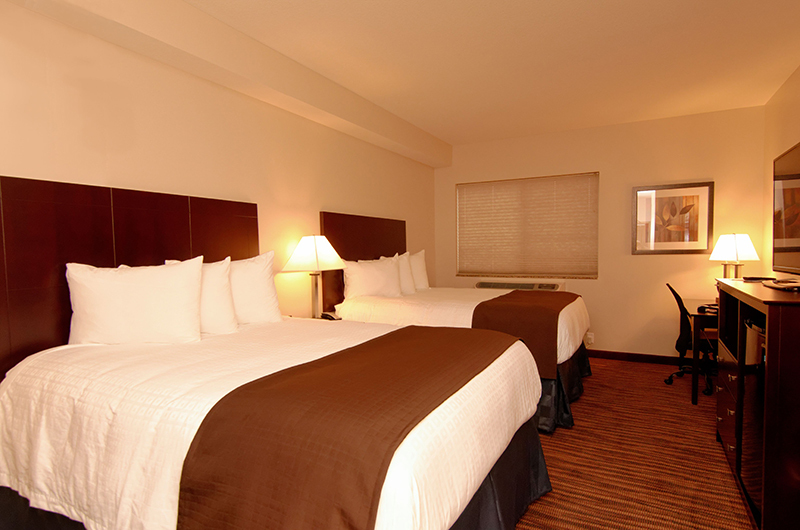 Whether you are enjoying a get-away, are here on business or are attending an event, our amenities will have you rested and relaxed for whatever your day may bring! For your convenience, our property features a fitness center, laundry facilities, free Wi-Fi, a public computer/printer and fax services. The guest lounge is appointed with sumptuous furniture, large screen TV and fire place. When weather permits, guests enjoy our outdoor patio, complete with a gas grill and gas fire pit. The Front Desk is staffed 24 hours, offering free daily newspapers, snacks at check-in, and 24 hr coffee service. Our friendly staff is at your service and happy to provide information about local restaurants and points of interest. Additionally, complimentary breakfast featuring hot entrees and full continental fare is provided 5–10 AM daily. Every exceptionally clean guest room is furnished with toiletries, hair dryer, iron, ironing board, 50” TV, Keurig coffee brewer (bring along your favorite K-cups if you like), microwave and mini-fridge to heat up a quick snack, or chill your favorite beverage. Cable television, free Wi-Fi and voicemail are also provided. Plus, you’ll enjoy sleeping on the beds that our guests have referred to as “out of this world,” “the best we&apos;ve ever slept on,” and “like laying in the clouds.” Available room types include single king, double queens, accessible king, king suite, double queen suite and jacuzzi suite. Our two-story property has stair access only. We are a smoke free property and accept all major credit cards. Self-parking is free. 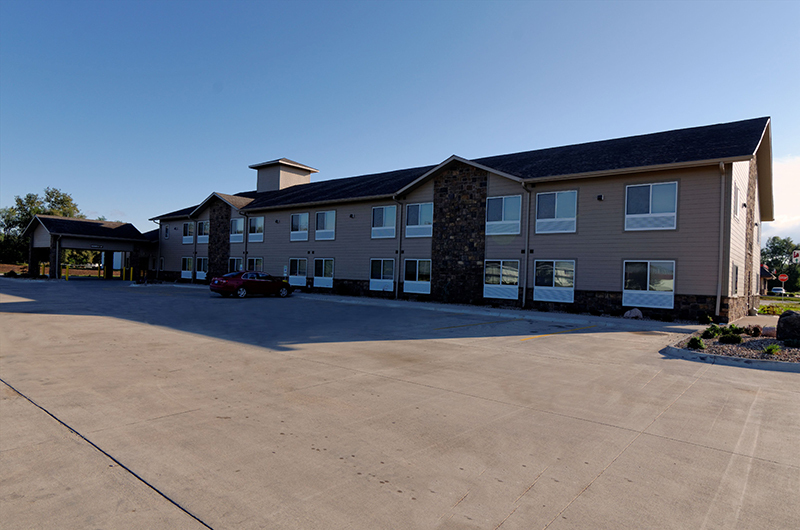 Our spacious lot accommodates RVs, tour buses, and trailers. Water and electric outlets are available as well. A 1000 sq. ft. event room equipped with an audiovisual system is available for commercial or private rental.